This report, from the BMJ, reminds me of when I attended the Scottish Parliament on the 6th January 2015. This was for a debate on mental health. I sat next to my friend Chrys Muirhead. Together we made up 2/3rds of the gallery who watched the debate from start to finish. Following the debate I made this Hole Ousia post and sent it to a number of MSPs. A few replied, but this did not include Jamie Hepburn, MSP, whose ministerial role is to lead on mental health. This blog-post is about stigma. It was obvious to me watching the parliamentary debate that it is not just doctors who may “loath to disclose their mental health issues”. 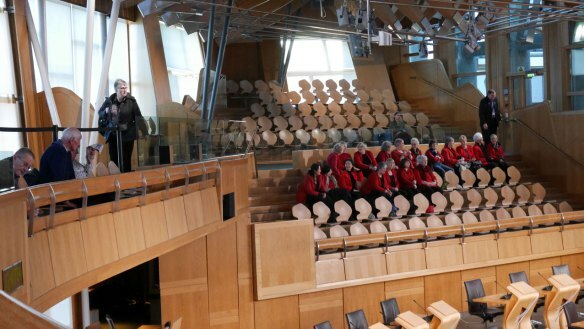 Not one MSP took the opportunity to talk of any personal mental health issues. They were however comfortable to describe mental health issues of constituents or family members.